Lay’s is one of the most famous chip companies in the world, and it’s safe to say that we have a lot to thank them for. After all, they have made a huge impact on our lives. We eat these chips when we’re happy, when we’re sad, when we’re excited when we’re angry. Basically, we don’t ever need an excuse to eat a bag of chips. 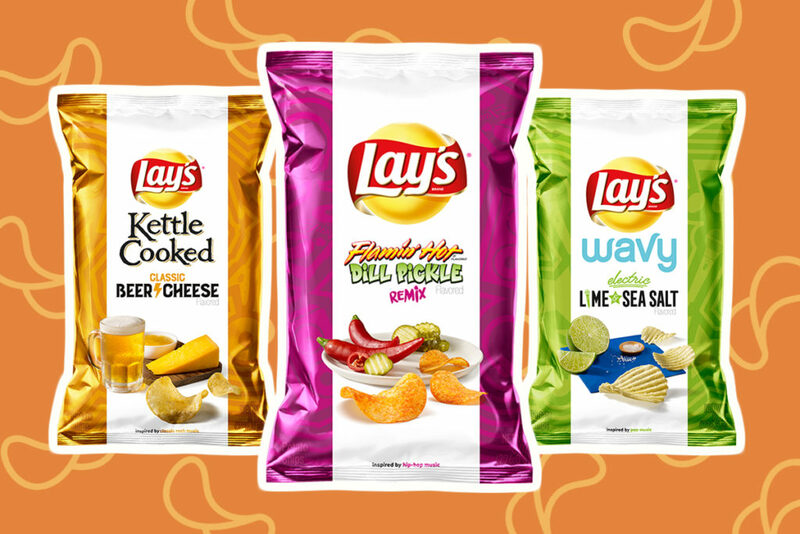 Of course, everyone has their favorite flavor of Lay’s chips, but you might be adding a new flavor to the contender list because they have just released three new music-inspired flavors of chips! Hip-Hop music is all about breaking boundaries and adding a little spice to your sauce. It’s the kind of genre where remixes can only be described using fire emojis, and you feel a little hot under the collar when you hear a specific artist or band you love. Of course, you also can’t deny that the fresh lyrics give you a little buzz. These Flamin’ Hot Dill Pickle Remix might also give you a buzz because the juxtaposition of the dill pickle and the chili is what makes them so delicious. If you’re a fan of pop music, you’ll know that it’s a genre that gets the party going. It’s the kind of music that lets you dance like nobody’s watching, and sing along to your heart’s content. It’s happy and upbeat, and it seems as though that’s what they were going for with these Wavy Electric Lime & Sea Salt chips. 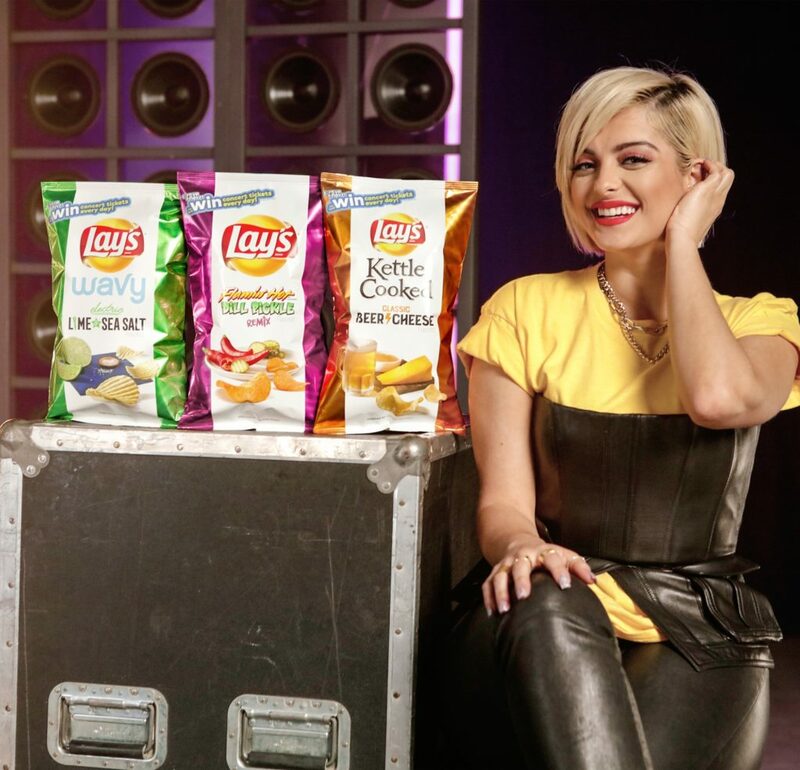 They have stated that these chips are “energetic and upbeat” like Taylor Swift and Ariana Grande, but that they’ve also got a lime tang to them. In fact, those who have tried them have noted that they taste a little like the chip form of a margarita. Why would you say no to that? It’s cheese and beer… Do we really need to say anymore? Rock music is all about classic guitar slides and a beat that will make you headbang the night away. So, Lay’s decided to go with a classic rock concoction. Although you might think that beer and cheese might not go together, you’ll soon realize that these chips are what you have been searching for your whole life. Which new flavor will you be trying first?